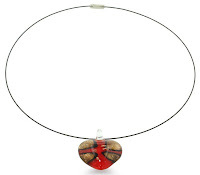 This week only at SuperJeweler, you can get a red murano glass heart necklace for only $5 shipped. This regularly costs $39.99! With spots of vibrant gold sparkles, this red and black murano glass pendant is anything but ordinary. 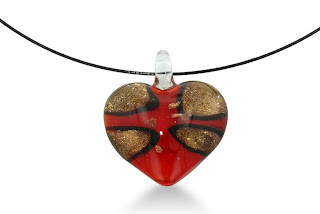 This vibrant pendant hangs on a 18 inch stainless steel wire with a screw on, screw off clasp.